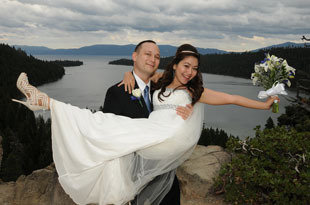 This superb wedding location is quite popular among brides and grooms looking to marry in Lake Tahoe. The bluff of Emerald Bay offers a stunning aerial view of the varicolored bay and Fannett Island. Your wedding will take place in a secluded area that towers 300 feet over the lake, an inspiring experience for those exchanging their vows at such a location. 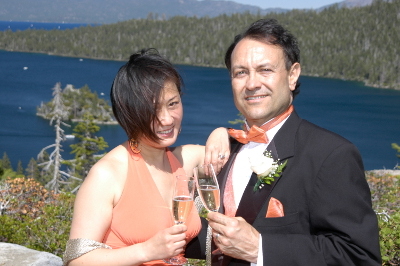 The mountainous Sierras that encircle this magnificent body of water that has a shoreline circumference of 72 miles add immeasurably to this impressive setting and create a fantastic backdrop for your wedding photos. The exclusivity of the bluff offers privacy for you and your guests during your ceremony and formal photography afterwards. Emerald Bay is located on the west side of the lake off of highway 89, about a twenty minute scenic drive from the heart of South Lake Tahoe. 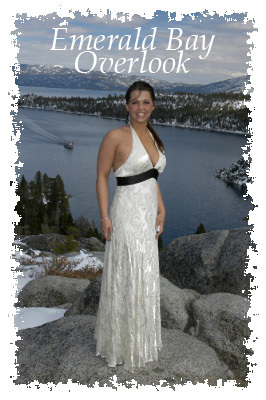 Weddings take place year-round on the overlook of this renowned wedding site. 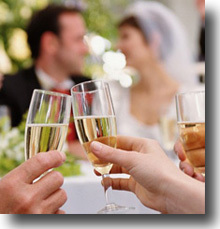 With its extraordinary beauty and romantic allure, it is understandably one of our most sought after venues. 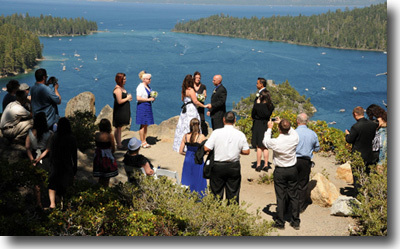 It is important to note, however, that in addition to being a desirable place to marry, Emerald Bay is also an attraction to hikers and sightseers alike. Because of its touristic popularity, parking is limited, most particularly on weekends throughout the summer season. 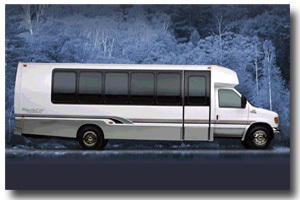 Therefore, we suggest use of our available limousine services to provide you with transportation to and from the ceremony site, which includes a stretch limo with seating for up to seven passengers or a limo party coach with available capacity of up to 18 guests (see Guest Shuttle Service below). 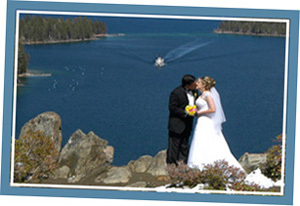 Our Simple Tahoe Wedding package is also available for Emerald Bay! Since Emerald Bay is recognized as a National Natural Landmark and, consequently, draws a lot of visitors each year, vehicle parking can at times be scarce, predominantly during the summer season. 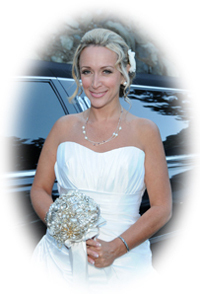 To facilitate in providing a stress-free day, in addition to limo services available to the bridal party, we also offer and recommend shuttle services for you and your guests aboard a private limo coach with available seating for up to 18 passengers. 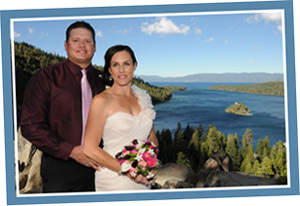 Your entire party can be transported comfortably and in style to the ceremony site at Emerald Bay and then shuttled to the reception facility or other selected destination afterwards. Besides the rich and relaxing interior decor, other amenities include a DVD player, stereo system, iPod hookups, and complimentary cocktails. 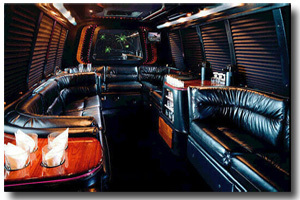 Cost is slightly more than a seven passenger stretch limo, but it is well worth having the additional passenger capacity that allows you and your guests the benefits of luxury and convenience for a once in a lifetime event.